It’s a Sunday morning, as 1:00 PM constitutes morning on the weekend in NYC, and I’m in no particular rush and out for no particular reason but brunch. 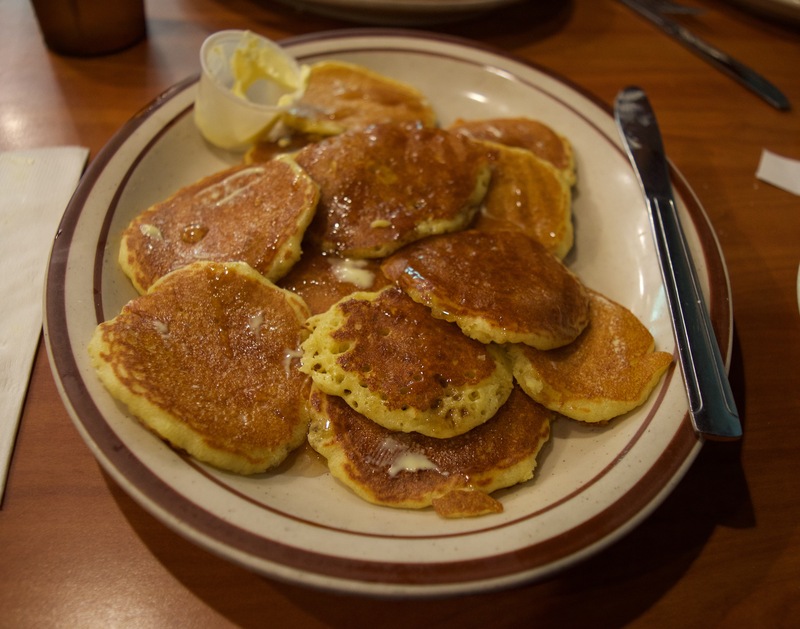 Every weekend I pass Happy Days Diner in Brooklyn Heights on my way to Smorgasburg and want silver dollar pancakes, but talk myself out of going in an effort to save room for Gooey Butter Cakes. Finally, after many summer weeks away working in the Hamptons, and many weekends away traveling for weddings, I’ve made a point of visiting Happy Days for some quality Brooklyn diner food. It just so happens that my first visit is coinciding with my long anticipated, recent purchase of a DSLR camera. Naturally, with a new blog, a new camera, and a free weekend, I’m inclined to take some photos. Unfortunately my brunch companion is my boyfriend, who never fails to call me out for taking pictures of my food. When I first bring my camera out to take pictures of the retro menu, he laughs and suggests that I should instead be deciding what to order. A few minutes later, I attempt to capture an image of my pre-breakfast chicken soup (strange choice, I’m aware), when our waiter swings by our table to check on our food, and remarks, “You really like your camera!” Yes, yes I do. I’d like to seize the moment to discuss the nuances of camera etiquette. I’ll be the first to give someone a hard time for ignoring me in favor of a phone, and I do everything I can to keep my cell phone out of social situations (particularly meals). However, when I first bought my big shiny new camera I didn’t think twice about using it in restaurants. I figured that, because I’d be taking pictures for myself, and not immediately texting them to others or sharing them on Instagram, the picture taking process wouldn’t be a source of grief. What I’ve come to learn is that apparently, the conspicuous nature of the camera makes it a big production when I take it out during a meal. As a result, I’ve developed a contingency plan for camera use in restaurants to put my mind at ease. 2) Serious instances in which meal photography may be frowned upon: job interviews, school interviews, discussions involving the status of your romantic relationships, whether positive or negative, funeral reception meals, etc. This plan is based solely on my own common sense, and its primary purpose is to help me sleep better at night. I am by no means a camera expert, as mine is only a few weeks old. More likely than not, if you’re concerned about whether or not you’re bothering others with your camera, you probably aren’t. At least that’s what I tell myself. I always feel awkward taking photos of my food – this can be a bit of a problem for a blogger who likes to write about food when she gets the chance! I’m still not use to taking pictures at restaurants.. I just get the single shots of each dish so my pictures don’t always turn out good. It’s so hard to find the right balance! You want a good shot, but you don’t want to spend an entire meal taking photos! I really don’t know why I can’t stop doing this. I try to do it discreetly with my phone… but then I almost never look at the pictures again! 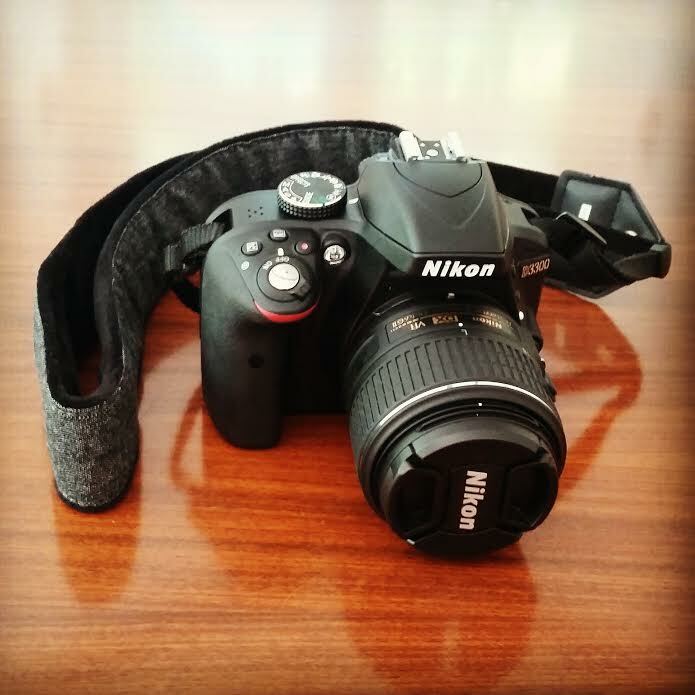 Lovely camera. I was a food blogger, so I can’t resist the instinct to photograph my food, that being said I feel shy about taking out a big camerA. I just use my iPhone–they need to start making better cameras! I think if you’re with someone you know well, they’ll forgive you for a moment of rudeness. My boyfriend always calls me out too! I just make sure not to instagram at the table and he’ll let me get away with it 🙂 Great post and blog! Funny thing about cameras at restaurants…I remember back many years ago taking a picture at a restaurant back porch on a pier in Monteray, CA..then writing notes for an upcoming unrelated assignment for a magazine. Suddenly, the manager comes by and asks me to take all the pics I want of the food, as he thought I was there to review the place. He comps me a drink and gives the craziest history lesson about the clam chowder rivalry between restaurants on that pier. He was cool when I told him I wasn’t a restaurant critic (he seemed relieved and comped me another drink). That’s amazing! It may bother other patrons, but restaurants probably appreciate when people document their experiences! I have yet to have this happen, but I certainly hope it will. Great story, thanks for sharing! I think it’s alright… Everything in moderation! Such a great article about a topic that’s surprisingly quite sensitive. I love taking photos (although I don’t have an amazing camera like yours, slightly jealous!! ), but doing so in shops, restaurants or caffes always feels a bit awkward for me. This piece of etiquette advice really helps, though. Thank you! I’m so glad! It’s always awkward, but I’m finding ways around the awkwardness. I really appreciate your feedback! Im a fan of rule 3-c!!! While I l love my DSLR….I tend to photograph my food with my cell…. unless its a specal occasion!